Thomas Clinard of Pasco County is one of 402 Kia and Hyundai owners who have reported their cars caught fire either with them behind the wheel or while the vehicle was parked. 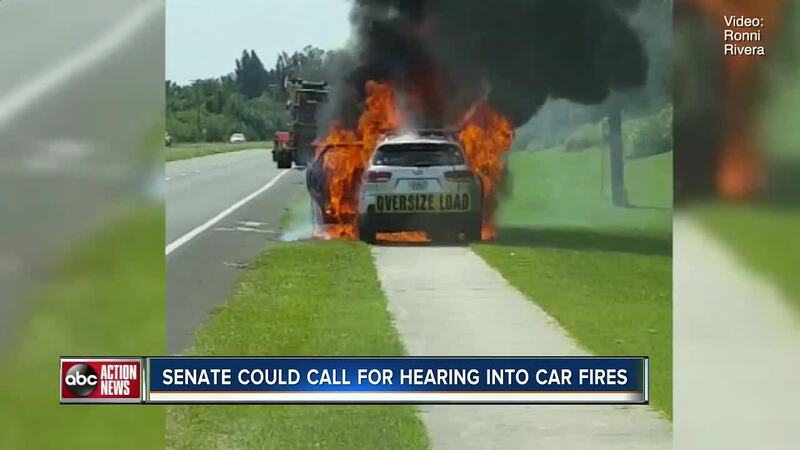 I-Team investigations on the Kia fires caught the attention of both the National Center for Auto Safety and Senator Bill Nelson's office, both of which formally petitioned the National Highway Transportation Safety Administration to investigate. NHTSA responded in June saying it was reviewing all non-collision Kia and Hyundai fires. But now a month later the federal regulator notified the senator's office it did not see a clear defect pattern and would not investigate further. Now another national watchdog, the Consumer's Union, is calling for action saying the government is not being a tough enough watchdog when it comes to consumer safety. Two weeks ago the Department of Transportation's Inspector General found NHTSA delayed investigating consumer complaints about Takata airbags. Now critics question its handling of these fires. And in the cases of six victims we've interviewed, each claims Kia expressed zero interest in examining the vehicles for the cause of the fire until we started asking questions. Since then they've examined two of the vehicles but won't comment on their findings. Now Senator Nelson says he'll call on fellow members of the transportation committee to set a Senate hearing; a hearing that would force the manufacturers to answer questions on the fires.